I should confess up front here that I’ve never before read anything by Kipling – which is a *big* gap in my reading knowledge, really. 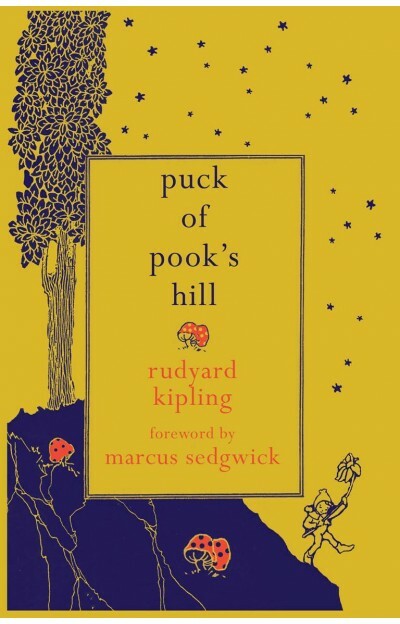 However, Hesperus Press have been kind enough to provide me with another one of their lovely Hesperus Minor editions – beautiful reprints of children’s classics – in the form of his “Puck of Pook’s Hill”. As always from Hesperus, it’s an attractive edition with French flaps, and the foreword is by children’s author Marcus Sedgwick. Certainly, I think I might find some of his more colonial works a little difficult to deal with; but this story is set in the heart of old England, Pevensey in Sussex and its environs. The book opens in high summer – it is Midsummer’s Eve and two children, Dan and Una, are performing their own version of Shakespeare’s “Midsummer Night’s Dream”. They like it so much that they go through the play three times; but they haven’t noticed that they’re doing so in the middle of a fairy ring… Up pops the elf Puck, called up by their play; one of the Old Things, who’ve been in England for thousands and thousands of years. He claims to be the oldest of the Old Things, and in fact we wonder whether he might be the last. Una and Dan are obviously imaginative children, and so receptive to Puck’s narratives of the past. He begins to regale them with stories from deep history, when there were pagan gods on earth and they came to England but somehow became absorbed into the land and turned into ordinary mortals. Puck, however, does not just relate other people’s stories; instead he plucks the protagonists from the past to tell their own tales directly to the children. I’m not sure quite what I was expecting from “Puck” but I don’t think it was quite such a deep, atmospheric, moving and engrossing book! The writing is quite lovely, and the descriptions of the Sussex landscape – the heat, the stillness, the buzzing of bees – will be familiar to anyone who’s spent a summer day in the English countryside. The stories Puck and his fellows tell us are poignant and inspiring at the same time – full of adventure (pirates and Devils in the southern seas; Viking invaders) but also change and loss (Henry VIII’s destruction of the monasteries and the religious wars; the waning of the Roman empire). 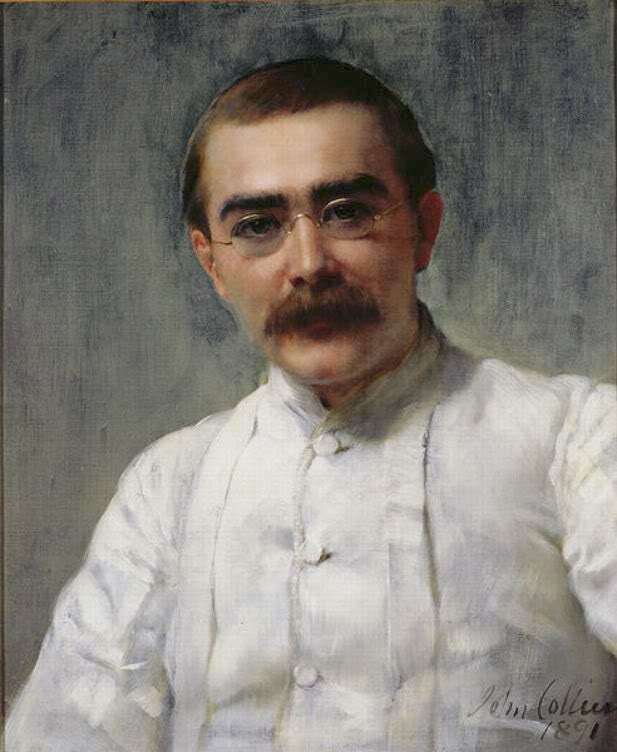 It’s a tribute to Kipling’s skill that he can encapsulate all this in a children’s story. And it’s a very gripping story – so much so, that I was as lost in the tales of the past as Dan and Una were, coming back to their present (and mine!) with a bit of a shock, as Puck brought forgetfulness to the children. The tales are interspersed with poems and songs, lamenting losses, praising heroes and telling stories in their own right. One of the most moving sections of the book is that which deals with the leaving of the fairy folk from English shores, as the world becomes riven with strife which they cannot deal with. They are spirited away by boat, sailed abroad by two sons of a wise woman; one is blind and one cannot speak so the fate of the little people will never be told among mortals. “Puck” draws on the myths and legends of England, but tells them with a twist, from the point of view of minor players – making them all the more human. Why this should touch me so deeply is a question I pondered – being an ex-pat Scot I suppose I’m technically a pict, so I shouldn’t relate to the English past. However, I spent most of my young life in Andover, a very old town in Hampshire (which gets a mention in the book!) and I do feel very connected to the southern English landscape. I found myself reflecting that there is no ‘pure’ English stock; we are a polyglot nation, formed from all the many races who’ve come and gone from our shores over the centuries. Nevertheless, I think Kipling is saying that those who stay become one with the land and from that springs the Britain we know today. “Puck of Pook’s Hill” is a little masterpiece – wonderfully involving, full of expert storytelling, deeply moving. I read it on what felt like the first summer day of the year, with the sun shining, the air still and soundless, and bees buzzing in the back garden – I can’t think of a more appropriate book to read on a day like that, and hats off to Hesperus for their lovely new edition of this amazing book. Since making the acquaintances of the lovely little Moomins recently, I’ve felt myself drawn back towards Moominland – so I suppose it wasn’t going to be long before I caught up with their second adventure, “Comet in Moominland”! This is the first ‘proper’ Moomin story, as all the regular characters make their proper entry and are named, and it was first published in 1946. 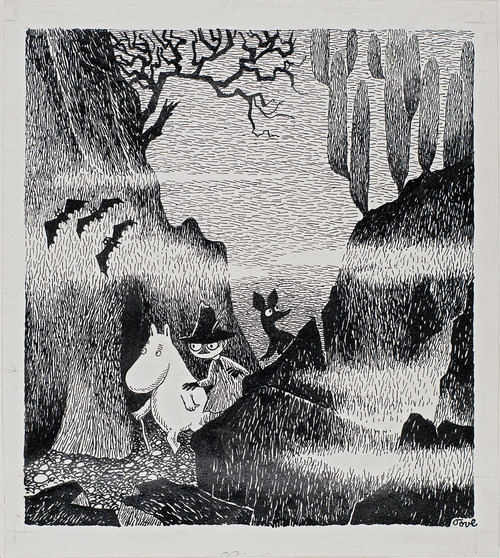 The tale opens in Moomin Valley, where Moomintroll and Sniff (the ‘little creature’) are off exploring. They follow a path to the sea, encountering a mischievous silk monkey on the way, and discover a wonderful cave. However, all is not as idyllic as it might seem, as everywhere they go, the pair come across a strange symbol – a star with a tail. 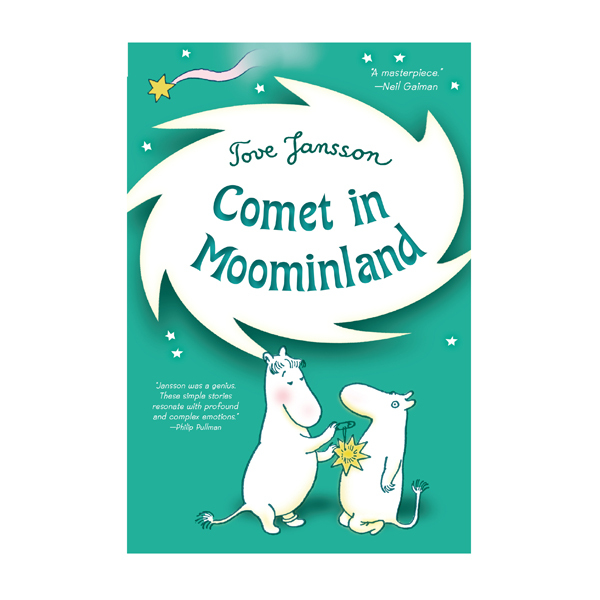 Nature seems to be trying to tell them that all is not well, and when Moomintroll discovers that a comet is approaching earth, he and Sniff set off to find the observatory on top of the Lonely Mountains, where the astronomers can tell them what is happening. Their journey is a long one, and dangerous too, as they encounter crocodiles, storms, underground rivers and other perils. Once they’ve confirmed the arrival date of the comet, there is a race against time to get home to warn the others – but along the way are all sorts of distractions, like a Village Shop, a ball and a very fetching Snork Maiden who Moomintroll finds very attractive… Will they make it home in time and what will happen when the comet arrives? This is *such* a wonderful book that I feel totally aggrieved that I never read the Moomins when I was young! Jansson’s created a beautiful little world, peopled with loveable creatures; all of whom have their own foibles and frailties, but that makes them all the more loveable! Moomintroll is a mix of brave and cautious; Sniff is a bit scared of everything and not afraid to claim credit for things he hasn’t done; Snufkin has a story for all occasions and is very awkward about new things; the Snork Maiden is rather self-obsessed; and the Snork wants to have meetings about everything! Nevertheless, they all pull together when needs be, and I got *so* involved in their journey! The illustrations, of course, deserve special mention – simple line drawings which are so evocative and imaginative, capturing wonderful landscapes and all the adventures of the journey. I wish it was possible to get the books in big, deluxe volumes so you could see larger versions of the drawings! 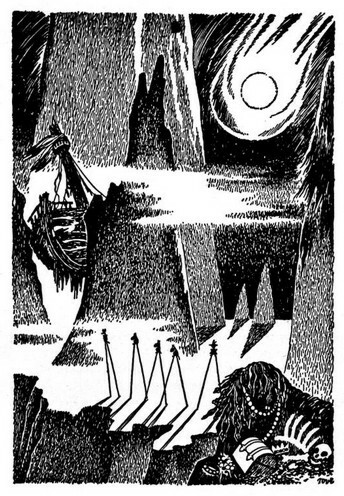 And the situations she puts her characters in are so imaginative and memorable – one of my favourites was of the adventurers crossing the dry sea bed on stilts. I’m growing to love the little Moomins and their wonderfully evoked world – but I think I should definitely ration the books or I’ll be tempted to gobble them all at once and have nothing left to read!! Incoming! ….plus a new collection begins…. The Cheyney on the left came from an online source – I’m not exactly sure why, except for the fact that the cover is wonderful, and it is apparently set around Pevensey which I’ve just been reading about in another book (there will be a review later this week)! 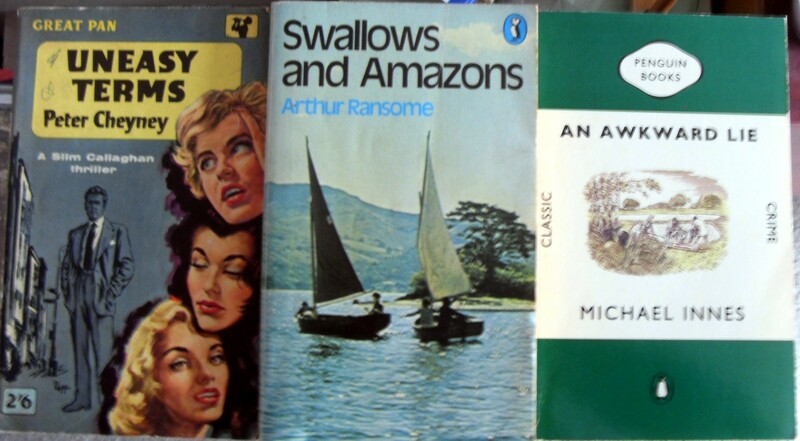 The Ransome and the Innes came from the Samaritans Book Cave – I’ve never got round to reading “Swallows and Amazons” so this year will be the one I do. And any Innes is usually worth picking up! As for the new collection – well, I’m a sucker for book lists and the like, and while I was flaneuring across the InterWeb this week I stumbled upon a list of “Roth’s Writers from the Other Europe”, which had some fascinating titles on it. Excitingly enough, I have four of the books listed (and have read one of them) so this rather encourages me to check out some of the other ones…. 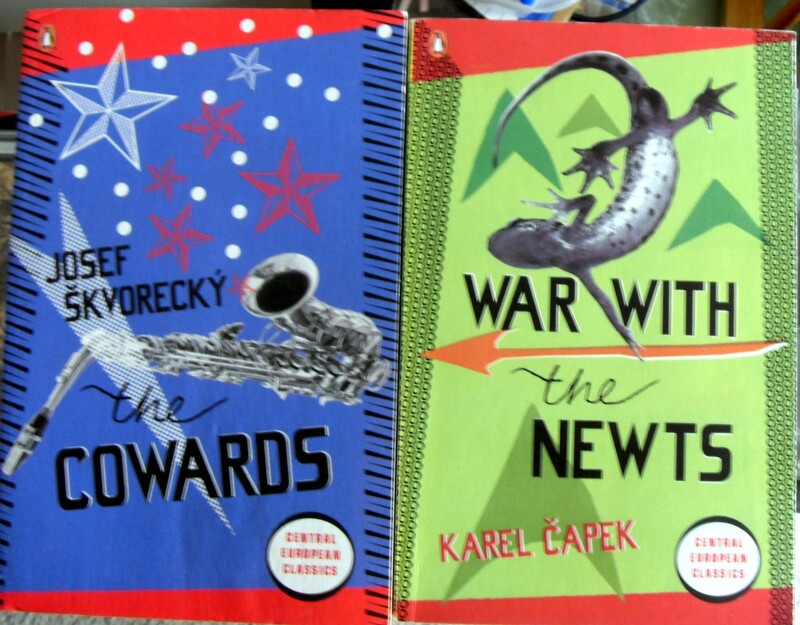 I’m quite surprised I haven’t noticed these before, because I’ve been keen on reading Capek for a while. However, I’ve found them now – there’s only ten – and they’re mostly not expensive. Oh dear – I can hear the bookshelves groaning in anticipation! in a charity shop and it was hidden in my stacks. Truly I need to sort these books out and get them into some sort of order and actually make a (very big) list of what I have to read!! Time for a little more vintage crime – because I must confess that I have several book hangovers at the moment and can’t really settle to anything of substance! However, murder mysteries are always good as mental palate cleansers!! I’m gradually reading my way through the lovely “Dead Witness” collection and this time round there were two tales – Arrested on Suspicion by Andrew Forrester Jr. (1864), and the title story, The Dead Witness: or, The Bush Waterhole – W.W. (Mary Fortune) (1866). These stories were very different from each other and of the two, I definitely preferred the second. Forrester’s tale is narrated by John Pendrath, who lives with his sister Annie. After a new lodger moves into their building, with a slightly dubious air about her, John and Annie notice she has a visitor (her daughter?) who might be mistaken for Annie. Then his sister is arrested for apparently being a thief and it is left to John to investigate. 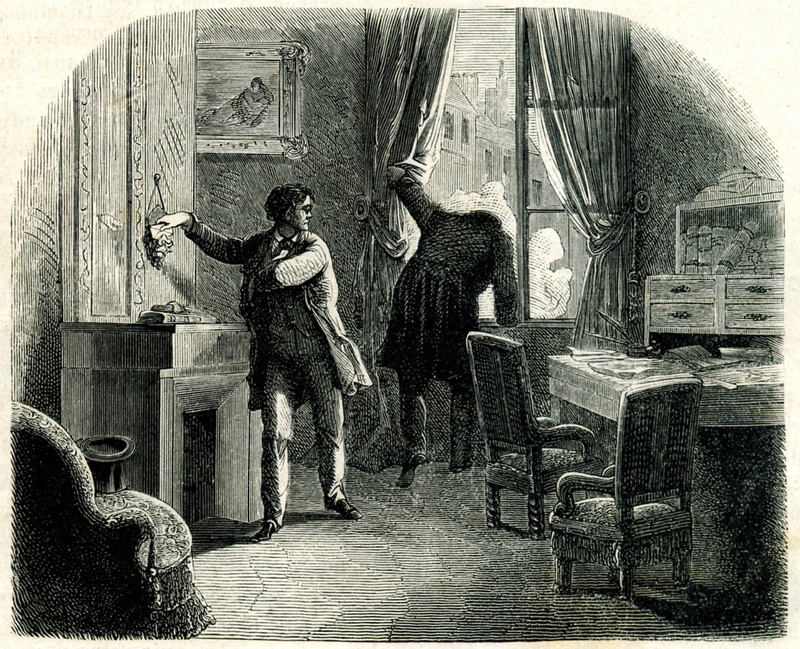 To be honest, I found the story somewhat plodding, with our very precise and pedantic detective constantly reminding us he was following in the footsteps of Poe. Much of the plot was taken up with him trying to recreate the methods employed in The Purloined Letter to find a missing communication and the rest was about decrypting cyphers, and honestly just a little dull. It was enjoyable but one of the weakest entries so far. However, the title story was much, much better and had a fascinating background. Mary Fortune was the first woman to write detective stories, and her is set in the Australian outback. A young photographer has gone missing and the narrator, a detective called Brooke, goes off to the bush to investigate. Here he runs across traces of foul play and sets about tracking down the murderer and his prey. The story was quite innovative, with excellent scene-setting and good descriptions. Fortune captured the strangeness of the outback well, and the story is atmospheric and quite shocking at some points. Fortune by all accounts had quite a lively life, ending up in jail for vagrancy and alcoholism – but she certainly made a large contribution to the detective genre! I’m enjoying reading my way through these early tales of crime and investigation – highly recommended for any classic crime fan! “I’m glad I can still sometimes drug my senses with a book,” Lady Dorinda exclaimed. You know the phrase “from the sublime to the ridiculous”? Well, Proust’s prose is definitely sublime, and Ronald Firbank’s characters are wonderfully ridiculous, so it certainly applies here! And you couldn’t get two more different books than these – the deep and lyrical “Swann’s Way” and the short, snappy, witty “Inclinations”! It’s quite surprising, actually, how far apart these authors are – actually at opposite ends of the spectrum – particularly as they were almost contemporaries. Like “Vainglory”, this book was a real hoot! 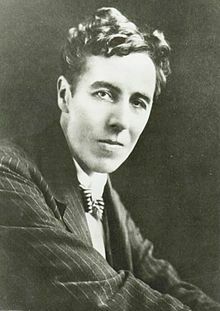 Firbank’s sharp conversations and constant repartee is quite breathtaking, and it’s amazing how something which is basically woven together strips of dialogue can be so funny and actually be understood; in fact, one short chapter consists of the world “Mabel!” repeated eight times and makes perfect sense in context, and because of what has gone before! “Inclinations” is a worth addition to Michael Walmer’s catalogue. 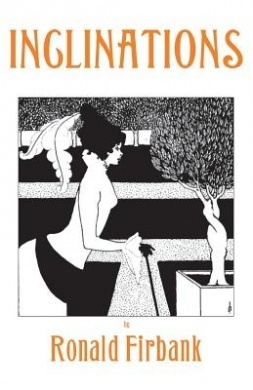 Although slim, it’s as witty and funny as the other Firbanks; and this edition once again features a lovely Aubrey Beardsley cover drawing. Highly recommended for anyone who likes camp repartee and whimsical humour! 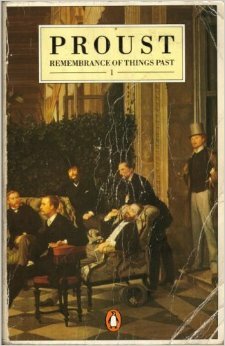 The reading of Marcel Proust’s epically long work, known variously as “Remembrance of Things Past” or “In Search of Lost Time”, depending which translation you read, has the reputation of being one of the most difficult things to do amongst bookish folks! And it’s true that I’ve been carrying around my three Penguin volumes for over three decades, thinking that one day I would read Proust. In fact, reading Proust is often spoken of with the same kind of trepidation as the reading of Joyce’s “Ulysses” although with the Frenchman it’s the length of the volumes (and the sentences!) which seems to be the most off-putting. Whatever – as I said here, I was moved to embark on Proust properly (after a couple of abortive attempts in the past) thanks to a fellow LibraryThinger, Laura, and I’m going to tackle it a novel at a time, with gaps in between. So the first one is in my volume entitled Swann’s Way, and that’s where I have begun. Interestingly, he died before the work was fully completed and there have been different versions of the later books pieced together over the years. The first English translation was by C. K. S. Moncrieff, from what is now regarded as a non-definitive version, and he was actually working on it while Proust was still alive. It’s a mammoth undertaking, and was the standard for years, until a new French version was put together and so Moncrieff’s translation was updated to reflect this by Terence Kilmartin, and it’s this version I have; an omnibus in three volumes from Penguin in the 1980s. More recently, there have been new English versions by a group of different translators. I confess I’m a little wary of the idea of the various volumes not being rendered in the same ‘translated voice’ so I’ve stuck with my older version and so we’ll see how I get on! Book 1 is “Swann’s Way”, and it’s divided into four sections: Overture; Combray; Swann in Love and Place-Names: The Name. It’s 462 pages long, which is half the page length of some Russian chunksters I’ve read recently – but that doesn’t necessarily make it a quick read…. “Overture” introduces us to our unnamed narrator (I believe he later is given the name Marcel), a boy much occupied by love of his mother, and the need for her to come and tuck him in with a goodnight kiss; if family friend Charles Swann is visiting for dinner, then he doesn’t get his night-time visit. Here we first come across the character who will dominate much of the first book. Marcel is obviously a highly strung, perhaps sickly, boy; subject to dreams and night terrors, unreasonably anxious about things. This section ends with Proust’s most famous piece of writing, that of the ‘peitit madeleine’, the taste of which triggers memory. “Combray” tells of Marcel’s life when his family are visiting the country and staying with great-aunt Leonie, an invalid, and of the countryside around them and the ambience, sights, smells, sounds and people of the area. There are two country walks the family take, Swann’s Way and the Guermantes Way, which are described in much detail; and Swann has become someone they cannot visit because his wife is staying locally and it transpires he has made an unfortunate marriage. Marcel catches a glimpse of Gilberte, the Swanns’ daughter, and is instantly smitten. “Swann in Love” gets to the heart of the story, going back in years to tell the tale of Charles Swann’s great love: his passion for Odette, basically a high-class courtesan, and the effect on his life and his psyche. This section charts the course of their affair in detail: the ups and downs; the high emotions; the jealousy and betrayal; and the reversing of roles. Much of this takes place via the house of the Verdurins, proto-Bohemians, holding soirees and deploring ‘bores’. It’s a very intense tale, and a remarkable portrait of love in all its beauties and horrors. The final part of the book, “Place-Names: The Name”, jumps forward again and takes us to Paris, where Marcel and his family have returned home from Combray. Marcel re-encounters Gilberte, and they become playmates in the Bois du Boulogne. The passion of Swann for Odette is replicated in a slightly watered-down, younger way by Marcel and his obsession with Gilberte. The book ends with the older Marcel revisiting the Bois and regretting the passing of time and the loss of an age of elegance. That’s a really short summary to give some idea of what the book is about, but to be honest, events as such are not what Proust is about. For a start, there’s his prose and sentence structure – incredibly long and labyrinthine, they’re actually sometimes hard to follow, but his writing is really quite gorgeous and atmospheric. We’re reading about emotions and images and the landscape and the stars and what’s inside a human and what it sees outside of itself. 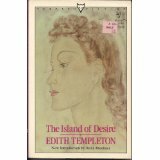 To be a little more specific, the book is dominated by Swann and his passion; and as a portrait of hopeless, doomed love, it’s unparalleled. Charles Swann is a stockbroker of Jewish extraction; well-known, well-connected, friends with many royals and a serial seducer. He seems to do little but chase women, collect art and occasionally scribble at an article on Vermeer. When he meets Odette de Crecy, he is initially unimpressed, as she is very much not his type. Odette, however, is making a play for Swann, and initially the seduction attempts are all from her. Odette attends the somewhat strange gatherings at the Verdurins’, and here Proust has a wonderful time mocking them and their pretensions. He’s very crushing, poking fun at them all, and you wonder initially why a woman like Odette would want to mix with them (unless it’s just to meet potential male protectors!) However, as the friendship between Swann and Odette continues, the balance shifts; finding her unattractive, he strives to make her appeal to him and eventually does by turning her into an illusion, a replica of a work of art loves. By turning his perception of her into the image of something he can love he unwittingly becomes the creator of his own doom. As Swann falls deeply in love, Odette moves away from him. I found myself, the more I read, coming to the conclusion that he was just a bit dim! He wilfully ignores the reality of Odette’s lifestyle and past, never questioning what kind of woman she really is, until it is far too late and he is utterly obsessed. Proust (and narrator Marcel, who interjects a little disconcertingly towards the end of this section) dissects Swann’s emotions and feeling, charting the course of an all-encompassing passion. As Swann’s love and jealously become more intense, he discovers more of Odette’s lifestyle and hinted-at perversions – none of which assuage his feelings or cool his ardour. And I did find myself wondering where my sympathies lay. I felt that Proust wanted us to take Swann’s side, empathising with his pain and the indignities he goes through in his pursuit of Odette. But as a 21st century woman, I found myself understanding something of Odette’s need to survive in what is a rigid, restricted, caste-bound society world; Swann has money and privilege, which he takes for granted, but Odette only has herself to use to obtain money and security. I questioned just a little bit, too, whether Swann would actually have fallen in love with Odette, as when we see him in high society, he is obviously so much at home, so much of that milieu that it’s hard to imagine him taking such a step outside it. However, there are no absolutes in human behaviour! Reflecting on this book, I realise that it covers so many types of love: that of Marcel for his mother; Swann for Odette; Marcel for Gilberte; but also the other friends and family, and the landscape and natural world. Proust, through his narrator Marcel, captures beautifully and poetically the confusion of youth, full of vague, unspecified but intense longings. As he wanders through Swann’s Way or the Guermantes Way, the imagery of nature, sky and land is stunning. 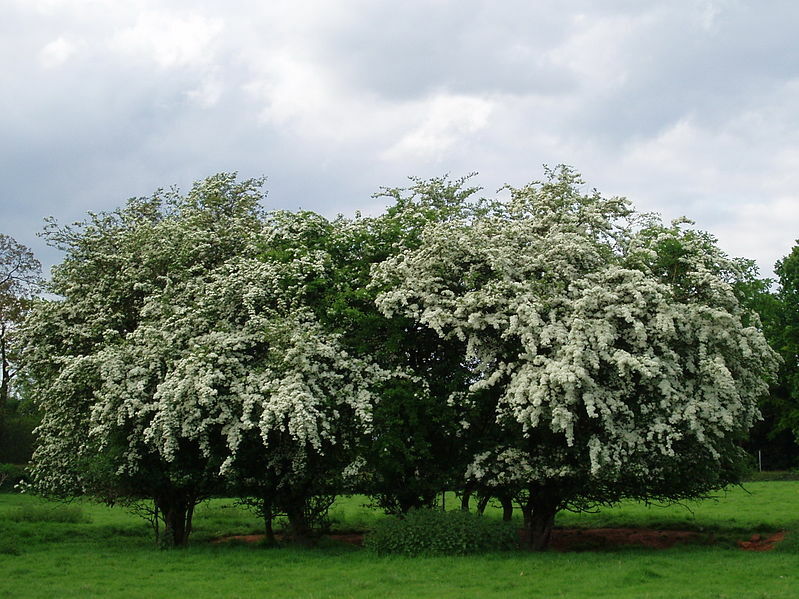 Finishing the book I was left with a series of most vivid and beautiful images – embracing the hawthorns; a particular musical phrase played at gathering; ghastly soirees at Verdurins; and of course the evocative taste of the madeleines. But if this book is about anything, it is about time – the consistent theme throughout. There are in effect two Marcels – the older version who is looking back to the child; and even the young narrator is bound up in the effects of time upon his life. Time is the thing humans have the hardest job coming to terms with – how it passes, how to speed up or slow down that passing, the effect time has on us, the loss and regret at what has passed. For all of us, our past continues to resonate throughout our lives (more than we might like to admit), particularly our childhood; and Proust captures this so brilliantly in his sensuous, dreamlike prose. I’ve been asked if Proust is difficult to read, and the answer is actually no, not really. Logically enough, for a book so focussed on time, that’s the one thing you have to be prepared to give it. There is absolutely no way you can read “ROTP” quickly; I’m a fast reader, but I slowed right down here and I found the best way to enjoy the experience was to let the gorgeous prose just wash over me. Yes, sometimes you get a little lost and have to go back over a sentence or two; yes, sometimes the lush, lyrical description and the complex sentence structure *can* appear off-putting; but the effort is most definitely worth it. I thought I would be clever and read some Proust every day alongside another book, but I found it impossible – I was so engrossed in the stories of Swann and Marcel that I was drawn back in, having the experience of almost being absorbed into the book to the exclusion of everything else (which is not good when you’re supposed to be working, but you’re wanting to read your book!). The writing was so vivid and involving that it many ways the book became a kind of alternative reality that I was living through. This book (only the first of the sequence!) will continue to reverberate with me for a long time to come; my head is full of images of the country round Combray; of Marcel embracing the beautiful hawthorn blossom; of the Bois du Boulogne in autumn; of young Marcel’s nightlight; of the profile of Odette and her beautiful, elegant clothes. What I can put into a blog post is inevitably going to be limited – after all, people have written books and books analysing Proust and I’ve only scratched the surface here. But I will continue to give my impressions, my response to the wonderful prose of Proust. This will definitely be the year that I read “Remembrance of Things Past”!